Oh, this film is a whimsical joy! Based on a classic children’s poem by Jacques Prévert entitled “Chanson des escargots qui vont à l’enterrement (Song of the snails who are on their way to a funeral)”, this short film, Deux Escargots S’ent Vont (Two Snails Set Off), by Romain Segaud and Jean-Pierre Jeunet celebrates re-embracing the colour of life after the enervating loss and sadness of grief. 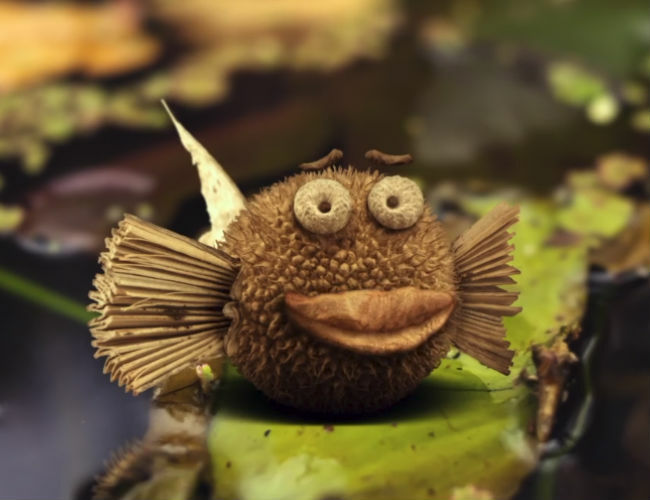 The message alone is an upbeat pleasure, but what elevates this delightful film even further, which shares some pleasingly idiosyncratic storytelling DNA with French series Minuscule, are the stop-motion animated animals that seem to have conjured themselves out of the leaf litter of the forest floor. They’re beautiful, the message is good for the soul and honestly, it’s damn near impossible to watch this gently-spirited short film and not rush out and see what life has to offer once you’re done. So get going — but oh watch this first!